Preserved lemons + salt = refreshing gose. Drink wildly different.L'hamd Marakad, the Moroccan for preserved lemons, literally translates as Sleeping Lemons. 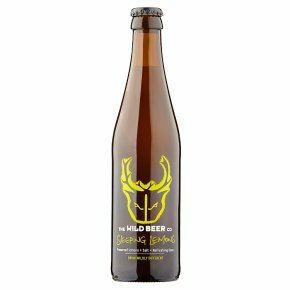 We have been preserving lemons in salt and lemon juice throughout the winter ready to brew this refreshing, zesty summer special. Gose, is a traditional German-style sour wheat beer usually brewed with coriander and salt. Once nearly extinct, this very refreshing style is making a comeback and we thought it would provide the perfect backbone to this wonderfully complex sour beer. A fabulous citrus accompaniment to fish dishes, or it could act as a sour lemon pickle to Moroccan food.